Preface This book is intended to serve as an informative, up-to-date text on this essential area of study and application. This book offers an in-depth and empirical explanation of the problems and methods of chemical analysis. Chapter 1 deals with sample solution and precipitation in view of the fact that sampling is of great significance in analysis. Chapter 2 concentrates on the analysis of ores and intermediates products, essential for the assessment of iron ore. Chapter 2A describes tests carried out prior to quantitative analysis with the objective of identifying the constituents of substances, mixtures or solution. Chapter 3 deals with the analysis of fluxes, refractories and slags while Chapter 4 explains methods used to analyses iron, steel and ferroalloys. 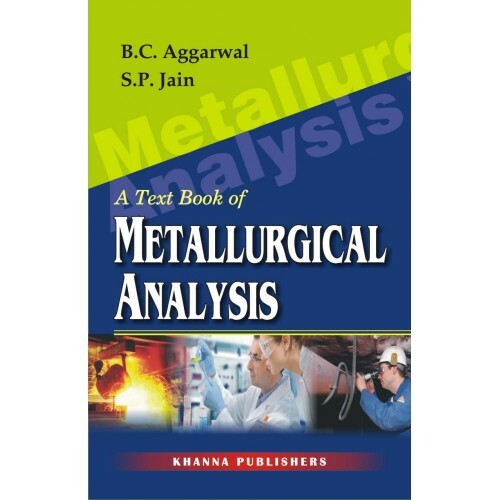 This is followed by Chapter 5 describing the analytic methods used for non-ferrous metals and alloys commonly used in industries. The subject of Chapter 6 is fire-assaying or the group of methods for chemical analysis of ores and other metallurgical products, usually using heat or dry reagents. 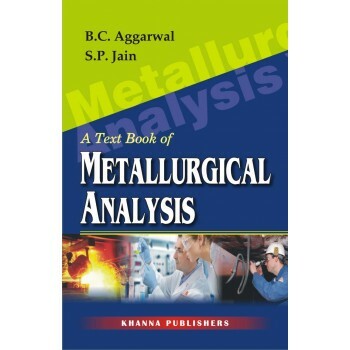 The tests and analysis of metallurgical fuels in order to determine the suitable use of available fuel, is elaborated on in Chapter 7 while physics-chemical methods of analysis (focusing on complexometric titrations) are detailed in Chapter 8. X-ray techniques used in several ways such as emission, absorption or diffraction methods of analysis are dealt with in Chapter 9. Chapter 10 gives complete practical information about metallography, the branch of metallurgy known as microscopical metallography. Towards end information on vacuum Technology, Methods of Chemical Analysis of Copper and Antimony and Solved Examples have been presented. The book is further enriched by a compilation of various appendices designed as a ready reckoned highlighting in tabular form aspects of metallurgical analysis such as atomic weights, symbols of metals, pH range indications, safety precautions for using laboratory chemicals, laboratory apparatus, equivalent weights of important titrants and so on.